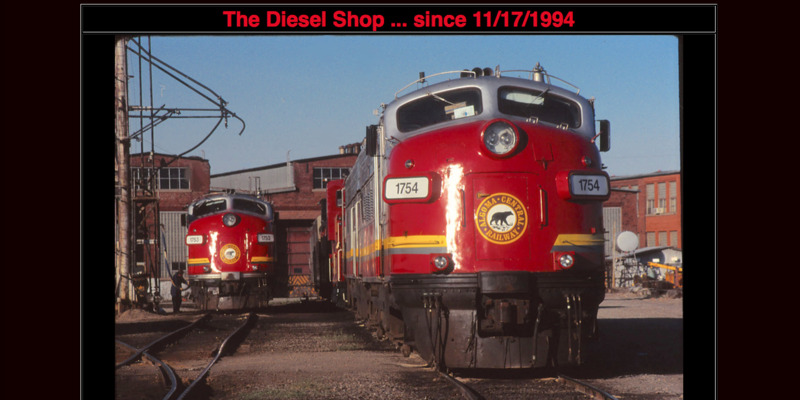 February 5, 1995 - THIS MONTH IN DIESELDOM section started, but it lasted only 14 months. 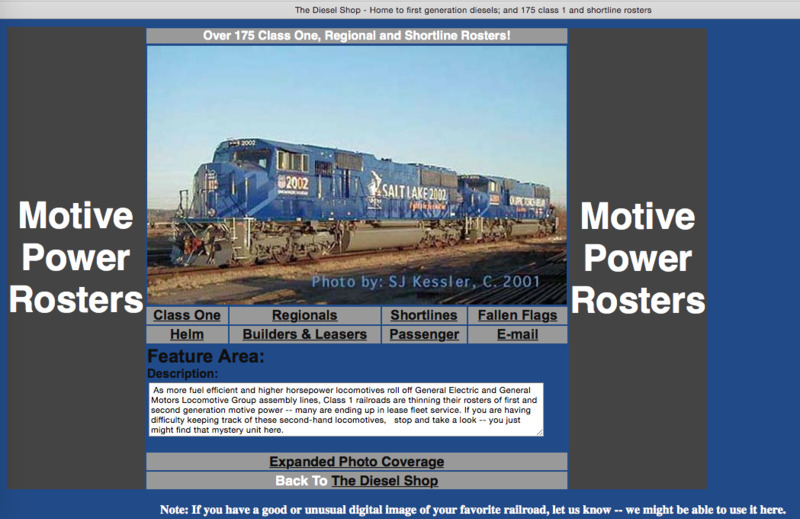 March 30, 1997 - MOTIVE POWER ROSTERS section was expanded to include roster data from Andrew Toppan's scaled-back "Motive Power Review" website. February 2, 2003 - BY-GONE BANNERS section was created as a reminder of the hundreds of large and small locomotive fleets that fell victim to progress and important changes within the railroading industry. December 12, 2004 - PRESERVED DIESELS component was begun at the suggestion of John Komanesky who was instrumental in developing many of the early locomotive rosters. March 12, 2005 - TECHNICAL DATA series was driven by Jean-Denis Bachand, who prepared the drawings and gathered the technical information. January 3, 2010 - THIS MONTH IN DIESELDOM sections returns and generates more interest than first time. 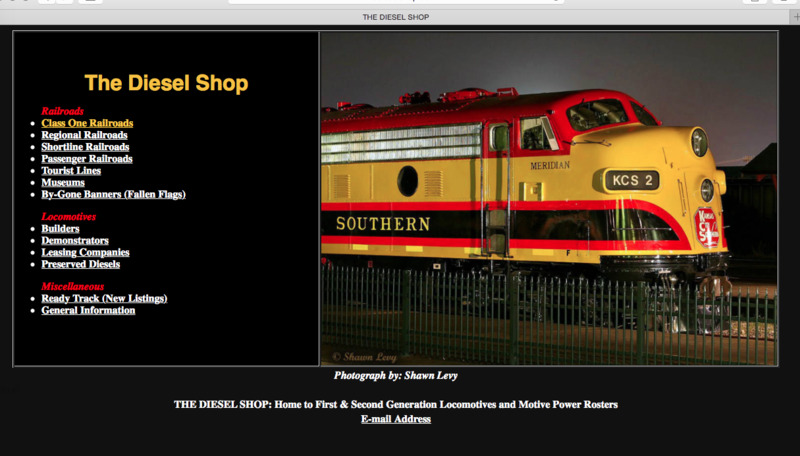 December 31, 2010 - It came as pleasant surprise to learn from our ISP (Internet Service Provider) that during 2010 The Diesel Shop recorded its 13th million hit (webpage visited). 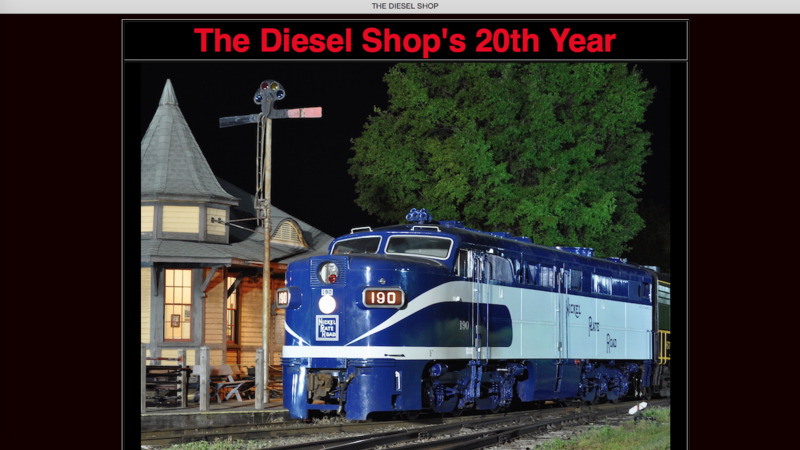 November 17, 2014 - The Diesel Shop website turns 20 years old. Although the primary goal ahead is to stay focused on the objectives first outlined two decades ago, it is hoped that an occasional new feature and /or technical article can be added along the way. May 4, 2015 - ISP reports another milestone -- 22nd million webpage visited. June 1, 2017 - REMEMBER WHEN profile section added. Michael Richmond helps establish monthly themes and collect associated images. February 1, 2018 - RAILROAD DOCUMENT ARCHIVE gets its start, with Ted Grumbine asking, "Is there an interest in starting a collection of official railroad rosters?" 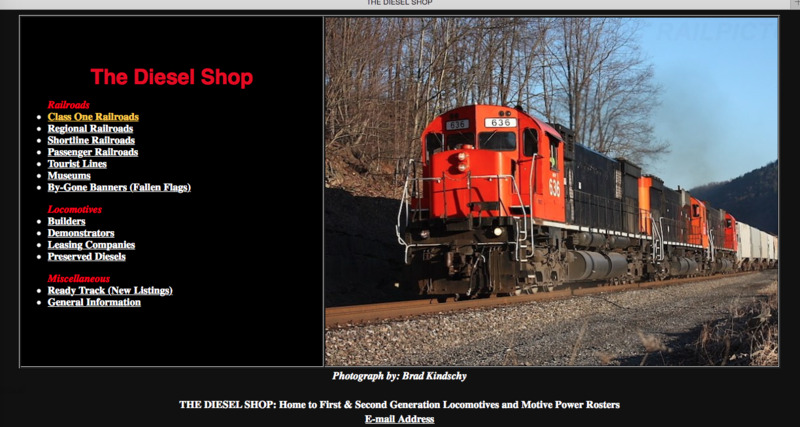 Idea expands to include locomotive marketing-type documents. November 1, 2018 - REMEMBER WHEN receives its first installment from a guest contributor (Steve Lynch; his theme is Long Island "Power Packs." With luck, it will be the first of many generated by other contributors. 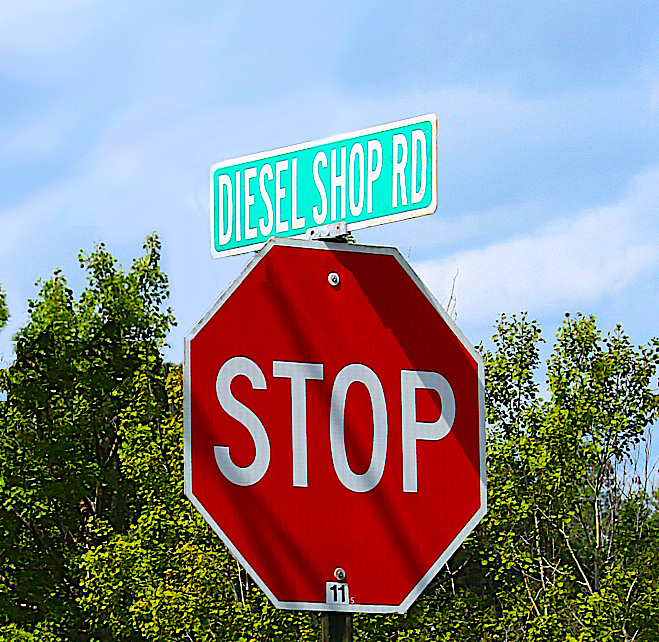 Thank You For Visiting The Diesel Shop!